One thing that is great about the Fox Theater is that there are speakers at the edge of the stage pointing at the audience, so these people in the very front can still hear the vocals coming through the PA mix. Hopefully that's always the case, not just for this show. Two Bay Area concert venues have caught the attention of a national group that is all about producing great concerts. Pollstar has nominated the Mountain Winery in Saratoga and the Fox Theater in Oakland. Pollstar has been holding the awards for more than 20 years and has a date at the Nokia Theater in Los Angeles next month to announce the winners. Both the Fox and the Mountain Winery have newly renovated venues and a rich history in the Bay Area. The Mountain Winery has been a hidden jewel of the South Bay for decades nestled in the Saratoga mountains. It provides a beautiful backdrop of the Santa Clara Valley for intimate concerts with a mix of some really good wine. Recent renovations transformed that jewel into a multi-carat diamond. The history of the Fox goes back to the 1920s. Its doors were closed in 1966 for four decades, but it is back and apparently better than ever, if the Pollstar nominations mean anything. The Mountain Winery is taking on similar venues in Chicago, Atlanta, Los Angeles and Santa Barbara. 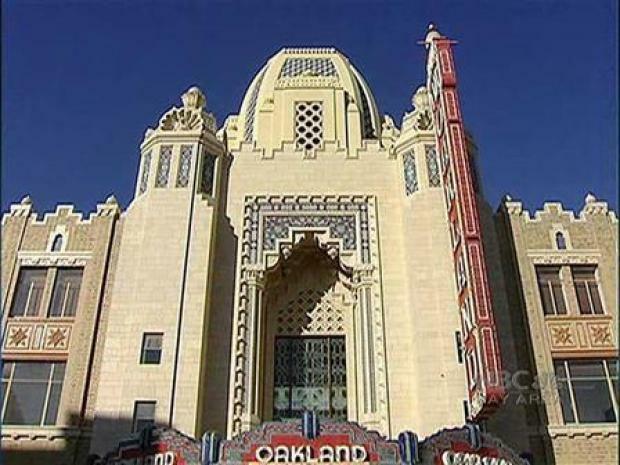 The famed Fox Theatre in downtown Oakland is anchoring an upgrade to the neighborhood. The Fox Theater is up for for two awards this year. It is one of five venues up for "Best New Major Concert Venue." The new part of that nominations is funny because the Fox is one of the oldest venues in the Bay Area. It is also up for "Theater of the Year."